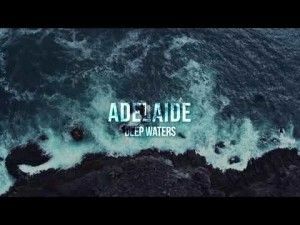 Adelaide is a National Touring Contemporary Rock Band whose primary focus is sharing the Gospel of Jesus Christ through profound yet relatable lyrics and music. 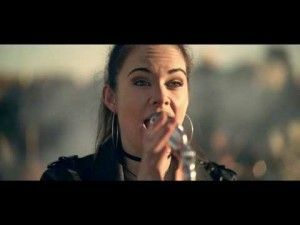 Adelaide is quickly gaining international attention through airplay and live performances. They released the first album “The Bigger Picture” in the summer of 2015, which began as a solo project when lead singer, Laura [aka Adelaide], decided to record the songs she had been inspired to write over the previous ten years. It was in that process of recording that Laura met lead guitarist and project manager, Jake Bond, of Walker Bros. Studio in Bernie, MO, and his band. Since the release of The Bigger Picture, the band has collaborated in writing new music and is set to release their new, full-length album "Strong & Brave". Adelaide is a driven ministry, with a band composed of worship and youth leaders who all share a deep passion for missions both home and abroad. 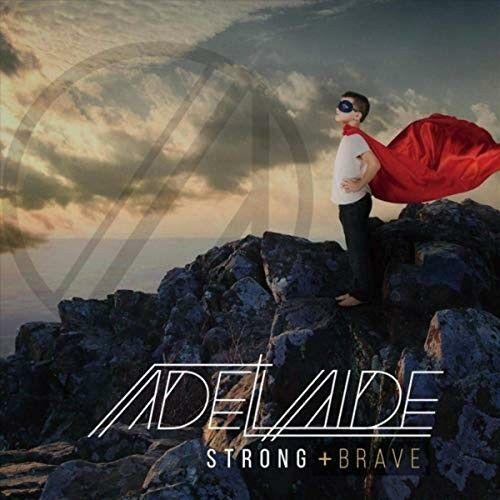 This is the second album from Adelaide, a female fronted rock band who come from Missouri, USA. The first album "The Bigger Picture" was originally intended to be a solo project for Laura Respondek (AKA Adelaide) but turned into a band project as she worked with gifted musicians who caught the vision. 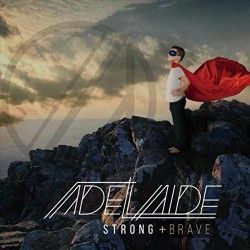 So the second album has been more of a collaborative effort and has resulted in "Strong + Brave" and it certainly made a splash when the title track was released as a single, thanks in part to an excellent video. The album opens with "Worst Enemy" which is a driving rock number and reminds us that we can, by our actions and the tendency to run, be our own worst enemy. We sell ourselves or we medicate our problems, but actually we need to turn towards the light, and if we hate the world around us then we need to do our part to change it. Even at this point of the album there is one band that comes to mind as something similar and that is Evanescence. "Deep Waters" very much has that grungy feel contrasted with the vocals from Laura which have an ethereal quality to them. The song itself talks about those times when we go through the raging storms of deep water and holds onto the promise that God will not let us drown. At the same time our lives are meant to be impacting the ocean with ripples created reaching around the world. We are called to walk on water in faith keeping our eyes on Jesus, and even when we falter we can rest in the assurance that He will not let us drown! Something we all need to know, because when we come to the end of ourselves, He is all we have. "Masquerade" is a very well put together track which builds on the sound of the previous one and then adds some new elements like the operatic and dramatic ending. "Restore Me" is a song that most of us can relate to, as we realise due to events and circumstance that we have been comfortably relying on ourselves rather than God. When we get to this situation we need to cry out and throw ourselves on God and ask Him to take our burdens and to restore us. This track is revisited at the end of the album. We have a slower and quieter track in "Chasing Echoes" next which also features a guest rapper and although some don't like the change of pace, I felt this worked really well and switches things around a bit. There is a theme of brokenness and the hope of recovery which is very much part of this album as seen on "Restore Me" and other tracks and that theme continues with "Pick Up The Pieces" and on into "Strong + Brave". All of these songs speak to me where I am right now in my life, waiting for God to see the next move, to restore within His promise and will and abundant grace, but the friction comes in the waiting in these moments. "Reminiscing" also deals with some of these things, looking back at the past regrets, but makes the point that the only way to move forward is forgiveness. Reliving memories without forgiveness are a poison, so forgiveness is the key, this song tells us, to our happy ending. The last song "I'm Alive" reminds us that these things make us stronger and we will rise from the ashes and we can declare that we are alive. I have to admit that it has taken me longer than normal to write this review. These songs have been speaking into a situation that I am going through right now which is very painful, but at the same time it is hard to remove the way that they are speaking to me from the actual critic part of the job. However the fact that these songs have been speaking to me and encouraging me is actually review enough. There is encouragement in these rocky celebrations of the harder parts of life and the appeal and trust that God will bring us through them. Musically there is enough variation here for most music fans, but if the big rock sound isn't for you then there are probably only a couple of tracks that will appeal to you. However for everyone else this is a really well thought out album that uses this style to speak very directly into our hearts and the louder songs allow us the express emotions that just wouldn't be fitting in another genre of music. Sometimes when you are going through something you just want to rock out, so if this is you, rock out with Adelaide!